There is no one word that best describes a camel trek through the sand dunes of the Sahara desert, but “surreal” is one that ranks pretty high on the list. 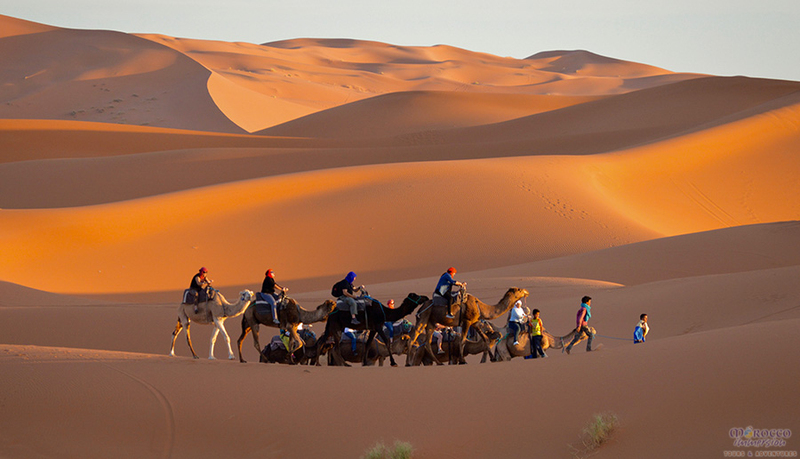 However you describe it, a camel trek and an overnight stay in a Berber bivouac is an experience of a lifetime. Bucket list item: Spend night under a blanket of stars in the Sahara desert… CHECK! NOTE: Accommodations in Marrakech are *not* included in the sample itinerary below. As with all of our tours, this one is fully customizable based on your interests and arrival/departure city. For example, this tour can be combined with our Medinas, Kasbahs, and Ancient Ruins tour of the Imperial cities and/or accommodations in Marrakech can be added at an additional cost. You and your driver will depart from your riad in Marrakech at 8 AM to begin your adventure of a lifetime as you travel over the High Atlas Mountains via the Tizi n’Tichka path, reaching an altitude of nearly 7500 feet above sea level. They say that life is about the journey and not the destination and this is certainly true when you are on this road. There will be plenty of stops for tea and photographs as you take in the breathtaking vistas before arriving in Ouarzazate. Here, in the city known as the Gateway to the Sahara and famous for its film studios, you will break for lunch. After lunch, you will visit the former palace of the Glaoui clan, Kasbah Taourirt. If you wish, a backlot tour of one of the film studios can also be arranged before continuing on to Kelaat M’Gouna in the Valley of the Roses where your own kasbah for the night awaits. 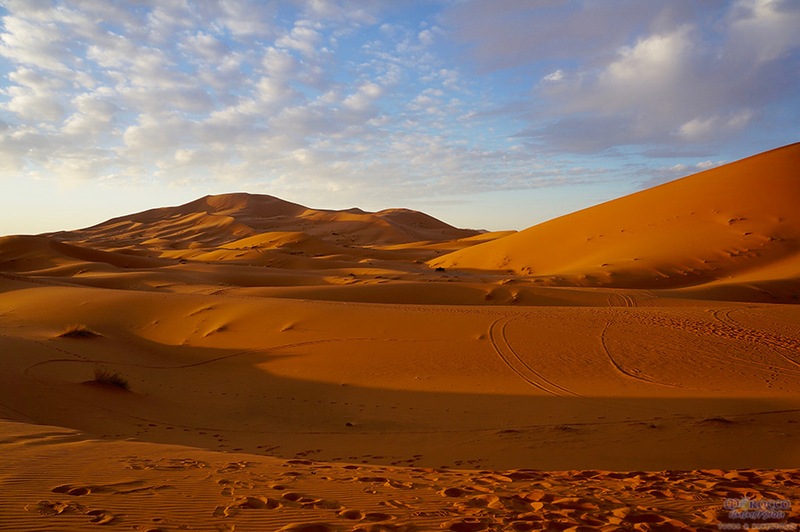 After breakfast, you will depart Kelaat M’Gouna and continue your journey towards the dunes of Merzouga. Along the way, you will stop at Todgha Gorge where you will have an opportunity to walk through the most impressive part of the canyon. In this narrow section of the gorge (as little as 33 feet wide), the rock walls climb straight up 525 feet on either side. 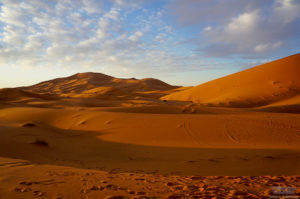 After you’ve stretched your legs, you will continue on stopping once again in the town of Rissani where you will search for fossils before you complete the final stretch of the journey to one of the great sand seas of the Sahara, Erg Chebbi. Here, you will transfer to your next mode of transportation, a camel, and begin your camel trek into the dunes to your Berber camp for the night. Once there, you will climb the nearest dune to watch the sunset and then relax and watch the stars come out. Dinner will be served and traditional music will be played, before retiring to your tent for the night. Today your camel guide will wake you early so that you can watch the sunrise over the dunes. Afterwards, you will once again take to your ship of the desert (i.e. your camel) and trek back to the kasbah on the edge of the sand sea where breakfast will be served and you will have an opportunity to shower and prepare for the day. After breakfast and showers, you will travel to the oasis of Tinghir where you will go on a guided walk through the palmerie and the old Mellah (Jewish neighborhood). After you’ve explored Tinghir, you will continue to Dades gorge where you will stop for the night. Following breakfast you will depart from your hotel and make your way back to Marrakech. 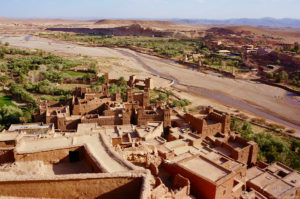 You’ll take a slightly different route and stop along the way to visit the UNESCO World Heritage site of Ait Ben Haddou located just outside of Ouarzazate. If this impressive ksar looks familiar, it is because it has starred (or at least made an appearance) in many movies and TV shows including Gladiator, Lawrence of Arabia, and Game of Thrones. 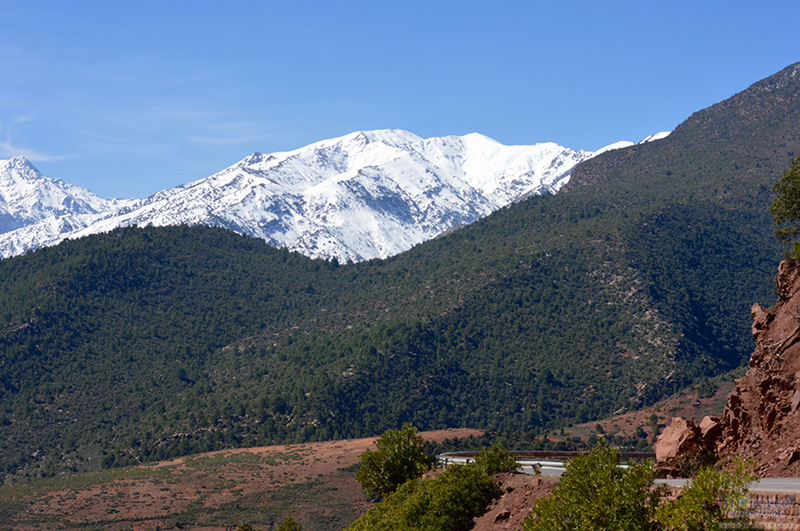 After exploring and having lunch, you will travel along the route of the Old Salt Caravan in the Ourilla Valley to the Glaoui Kasbah of Telouet where you will be treated to a guided tour. After learning the history of the Kasbah and its Glaoui owners, you will travel once again over the breathtaking High Atlas Mountains and back to your riad in Marrakech.